I’m so happy to be back, participating in Susanna Hill’s Perfect Picture Book Friday link up. I hope you will hop over and check out the many other fabulous book reviews and activities on her website. Schools are back in session – my grandson started first grade and I know he is going to have a great year. He has developed a great love for books and reading and…oh yes…Monopoly! It’s been a wonderful game that encourages reading, math, learning to be a graceful winner and loser, and how to strategize. I can’t say enough good things about it. In honor of teachers and students everywhere, I’m reviewing a classic from when my own children were little. The students don’t proffer a shred of respect for their good-natured teacher Miss Nelson, but when the witchy substitute Miss Viola Swamp appears on the scene, they start to regret their own wicked ways…and just who is Miss Viola Swamp? A back-to-school perennial! Hilariously funny for parent and child! Cartoon-like illustrations kids can relate to! Great way to help a child see the results of inappropriate behavior! See if your child can solve the mystery. Can he find the clues? For the younger crowd (ages 2 and 3): play a game of What’s Missing. You will need a paper bag and several small items like a whistle, keys, a spoon, and an apple. Show your child all of the items. Put them in the bag. Then have your child close his eyes and you remove one of the items. See if your child can guess which item is missing from the bag. Then let him put his hand in the bag and feel the items that are left…can he guess now? We’ll be announcing the winner of the School Starts Soon giveaway next week. You still have time to sign up for my email list and get an entry to win a copy of Show Me How! Build Your Child’s Self-Esteem Through Reading, Crafting and Cooking. This is a great book for any parent, grandparent, day care provider or early childhood education teacher – chock full of hundreds of fun-filled quick and easy activities for young kids. If you are already subscribed, you can get an entry by sharing this post on Facebook, Twitter or any other social media. Just leave a comment, telling me where you shared…and for every share, you get another entry! I’m ending my blog post today with a prayer for all those who were affected by 9/11. I hope they have found peace and hope and love. 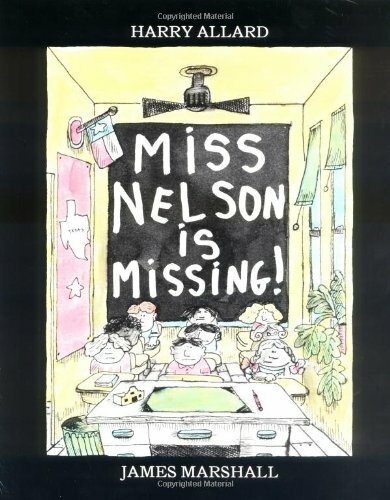 This entry was posted in Activities for Kids, Per, Perfect Picture Book Friday, Picture Book Review and tagged Book Giveaway, Harry Allard, Humor in children's books, James Marshall, Miss Nelson is Missing, School behavior by viviankirkfield. Bookmark the permalink. Kids know it’s him right away! Great extension activities, Vivian. I remember this classic! Read the books to my daughter. And, I enjoyed your wonderful activities. The title grabbed my attention. Love the painted plate, and thanks for remembering 911, Vivian. I think it is true for all extreme tragedies…they are moments in time that are seared in our memories. I can remember the moment I heard that JFK had been shot…where I was, what I was doing, who I was with. And it is the same for 9/11. Do you experience that phenomenon also, Tracy? Hope you get to read the book…it is really good! I can’t even read the title of this book without laughing! It’s an old favorite of mine. It seems like many of us feel the same way about this book, Joanna. 😉 My kids loved it and my grandson thought it was hilarious! How I loved this book as a child! This post brings back great memories…. Glad I took you on a pleasant journey down memory lane, Barbara. 🙂 Hope your summer was filled with fun! You’re going to have such fun learning with your grandson, Vivian. My grandson and granddaughter both used their first grade year to teach me amazing things they were just certain that I didn’t already know! 😉 It’s a wonderful time! Oh, I love this book and have not read it in ages. 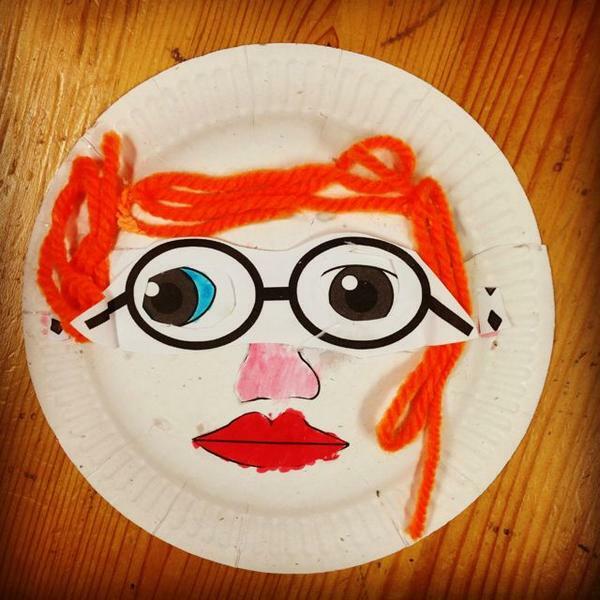 I tutor primary age children who struggle with reading and this will be a great one to use. So glad you reviewed this and I saw it! So glad! I’m sure you read it back in the day when you were little, Erik. 🙂 Thanks for stopping by! What great activities you have, Vivian! And a fun book. Win-win. Great choice, Vivian! Have added this to my library list. Thanks! This book has always cracked me up! Thanks for sharing this post at Booknificent Thursday!